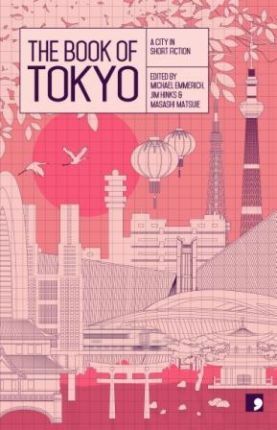 The Book of Tokyo collects 10 stories by some of Japan's most exciting contemporary short story writers. Together, the stories form a kind of literary map of the city's ever-changing districts through its fiction. With works of literary fiction, crime, science fiction, and horror, the anthology provides an imaginative tour of the city for short story fans and travelers alike. Osamu Hashimoto graduated from the University of Tokyo and worked as an illustrator before becoming a writer. He first made it into print after receiving an honourable mention in the 1977 Shosetsu Gendai Prize for New Writers competition for Momojiri musume (Restless Rena). Since then he has published not only fiction but literary criticism and essays as well as modern Japanese translations of classics such as The Tale of Genji, turning out numerous bestsellers. His critical acumen, breadth of knowledge, and versatile command of the written word have earned him the name of "genius" among many of his writer colleagues. Hashimoto received the Kobayashi Hideo Prize in 2002 for Mishima Yukio to wa nanimono datta no ka (Who Was Yukio Mishima? ), a work of criticism. His first fiction prize came in 2005, when he won the Shibata Renzaburo Award for his short-story collection Cho no yukue (Where Butterflies Go); in 2008 he was awarded the Mainichi Publishing Culture Award for his modern Japanese translation of The Tale of Heike. His more recent works include the novels Junrei (Pilgrimage, 2009), Hashi (Bridge, 2010), Ria ke no hitobito (The House of Lear, 2010), and Saiwai wa furu hoshi no gotoku (Happiness Is Like Falling Stars, 2012).